Luján de Cuyo and Maipú are the traditional wine regions of Mendoza. Their altitude ranges between 640 and 1000 m (2,099 to 3,280 ft) above sea level. Grape varieties in the region are Malbec, Cabernet Sauvignon, Pinot Noir, Merlot, Shiraz, Sauvignon Blanc and Chardonnay. Northern region. It includes Lavalle, Guaymallén and Las Heras departments. 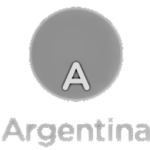 Located on the banks of the river Mendoza and above 700 m (2,296 ft), this region offers Chardonnay, Chenin, Ugni Blanc, Torrontés, Sauvignon Blanc , Malbec, Bonarda , Cabernet Sauvignon and Shiraz. Eastern region. 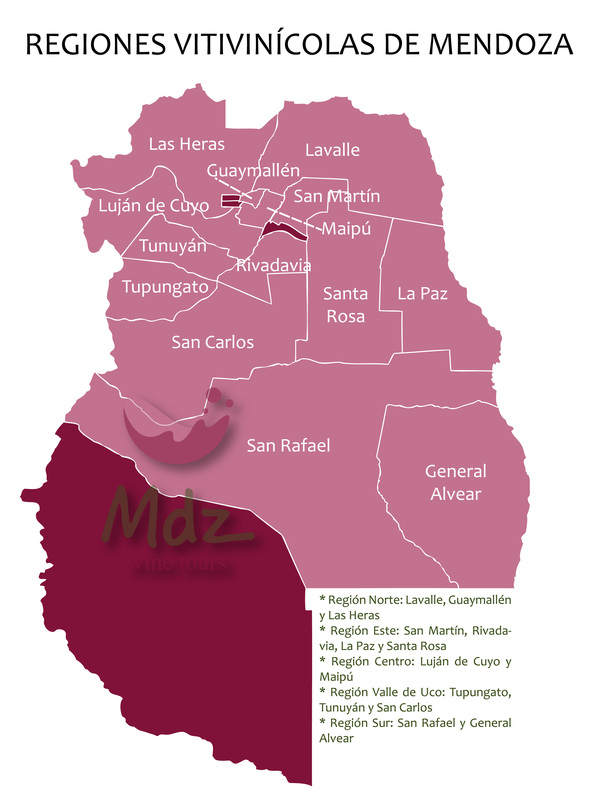 It comprises San Martín, Rivadavia, La Paz and Santa Rosa. 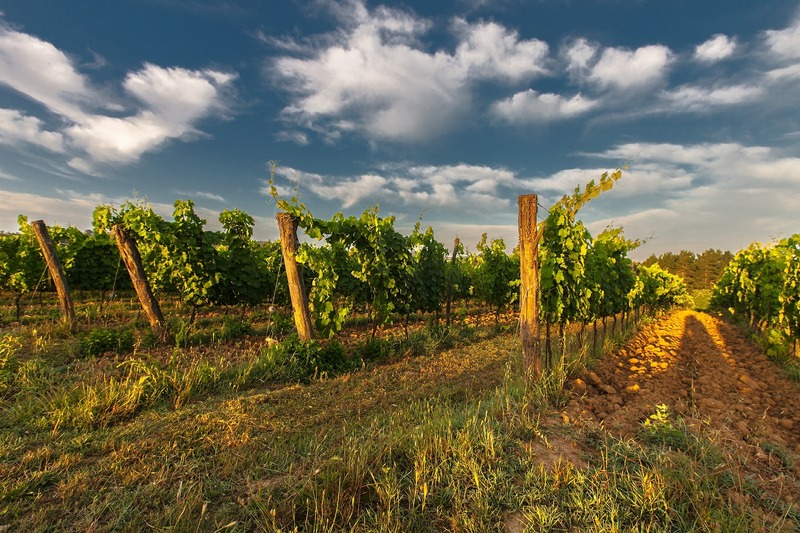 Wineyards are planted between 600 to 750 m (2,099 to 2,460 ft) above sea level. Grape varieties include Sangiovese, Shiraz, Bonarda, Tempranillo, Viognier, Chenin, Torrontés and Chardonnay. Uco Valley is one of the most important wine regions of the Province of Mendoza. Here, the departments of Tupungato, Tunuyán and San Carlos grow vineyards at up to 1675 m (5,490 ft) above sea level. 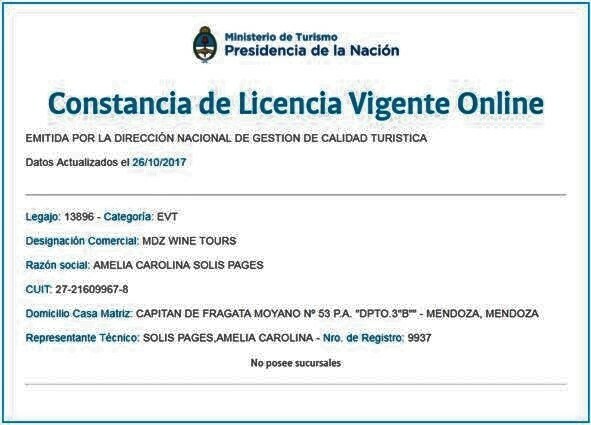 Excellent and well known wines with Malbec, Pinot Noir, Merlot, Semillon, Chardonnay, Cabernet Sauvignon and Shiraz grapes come from the Uco Valley. 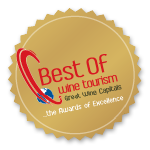 However, there are also several small wineries offering wines of outstanding quality. Southern region. This region is formed by San Rafael and General Alvear departments, with vineyards growing between 800 to 1450 m (2,624 to 4,757 ft) above sea level. The region is popular for its production of Chenin, Cabernet Sauvignon, Merlot, Malbec, Sauvignon Blanc and Chardonnay.